No matter how much you spend on less-than-truckload shipping, you probably feel like you could be spending less. And guess what? You probably could be. In this article, we’ll lay out seven strategies to help you reduce spending on LTL services and run a more cost-effective operation. One surefire way to lower your LTL spend is to avoid LTL altogether. If you regularly ship to large retailers, restaurants, grocery stores or other businesses that receive shipments from multiple vendors in your area, consider consolidating your freight with freight from those other vendors’ into a full truckload shipment. You can all split the shipping costs accordingly. To find suitable shipping partners, think about working with a 3PL that specializes in freight consolidation, or ask your client to recommend other companies you can work with. Going full truckload can help you lower shipping costs, improve delivery speed (FTL is direct), and reduce the carbon impact of your freight. When demand for LTL services is higher, so are the rates, which is why shipping on low-traffic days can help you save money. Explore shipping on Mondays or Fridays as they tend to be lower-traffic days for many carriers. If you’re not sure which days are low traffic for your carrier, ask. They can tell you which days they run light and point you towards better rates. After all, shipping on low-demand days helps your business and the carrier’s. If you’re not taking a close look at ways to reduce the cubic footprint of your freight, you’re likely leaving a lot of money on the table. Now that carriers are leaning more heavily on dimensional-weight to bill and build rates, cube has never been a bigger factor. We suggest looking for ways reduce bulky packaging, and maximize the amount of goods you can securely pack onto a pallet. Avoid pyramid-shaped pallets as they make stacking shipments impossible and increase your odds of paying for a whole container slot instead of just a portion. 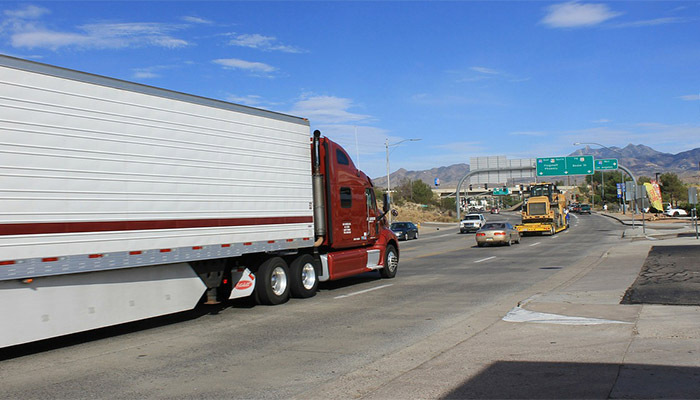 It’s also important to provide carriers with the correct freight dimensions and weight up front to avoid freight audits. Automated parcel and pallet dimensioners can help with this task, ensuring speed and accuracy during the outbound measuring and weighing process. Few product engineers and marketers concern themselves with shipping and warehousing costs, though both can contribute significantly to a product’s profit margin. To ensure shipping and storage are factored into the equation, we suggest getting your logistics personnel involved early-on in the design and development process. Make sure your product and package designers know what makes a product easy to ship, stack, and organize in a warehouse. There’s nothing worse than going through the considerable trouble that is product development only to end up with an item that is cost-prohibitive to transport and store. The more notice carriers have about your future loads, the more they’re able to optimize assets like drivers, trucks and warehouse space. Besides, planning ahead also gives you more time to pack and stage your freight in a way that ensures a smooth, efficient load-out, which also saves carriers money. Bottom line – if you can give carriers more time to plan, and you can guarantee a quick loading process, you’ll likely see lower rates. Keeping your dock open for pick up after traditional business hours gives carriers a chance to make your load into a backhaul, which carriers love. If you’ve got staff working later in the evening anyway, this strategy is a no-brainer. Ask your carrier what kind of break they can give you for night pickups. You may have to leave the dock open for a few extra hours, but if it saves you between 15% and 20% off standard rates, it might be worth it. To employ this strategy, you’ll have to convince customers to take on larger orders, but if you’re successful, the savings can be significant. As you probably know, it’s much cheaper to ship eight pallets at one time, than it is to ship two pallets each week for four weeks. So how do you get customers to take on larger orders? Offer them a price break, or agree to share some of the savings you see in shipping. If you ship consumer goods, you could even consider a Vendor Managed Inventory plan where the retailer is only charged for the item after it’s purchased by the end user.